Let's weigh why so many businesses and individuals in Ottawa choose 4GoodHosting for their web hosting needs. 10+ years of serving Ottawa with reliable web hosting is an obvious reason, and there's the fact we're attuned to just how important your website is to what you're doing. First-rate customer service puts us out front of the pack too, and we take pride in being the web hosting provider of choice for Ottawa. We provide instant activation with payment, and just like that you'll have the best hosting coast-to-coast keeping your site up on the information superhighway. And when you've got questions or concerns, we want to hear them! Naturally, it's going to be important for you to know your website is up and accessible for visitors 24 / 7, and in that regard websites hosted by 4GoodHosting are in good hands. That's because each and every one of them is backed up at both of our 2 nationwide data centers, one in Vancouver and the other in Toronto. Should something go awry out west, Toronto will have your site's necessary operating info, and the same goes the other way should Toronto suffer failure of any sort. These backups are initiated automatically once every day, and of course you've got 24 / 7 customer support at all times for anything related to the live-on-the-web status of your site. Some hosting providers just aren't able to meet your expectations, or can't match the security we've just described. If yours is one of them, come on over to 4GoodHosting. We transfer domain names at no charge, and we'll see to it you're entirely satisfied with us right from day one. 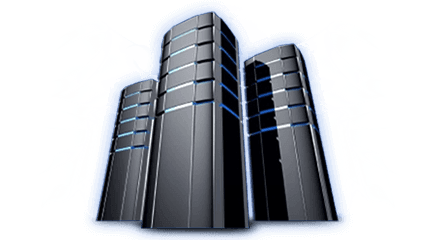 What Makes Us The Best Web Hosting in Ottawa? You won't find a better mix of services and pricing from an Ottawa web hosting plan, and the fact it comes with 4GoodHosting's expertise, reliability, customer service, and commitment to customer satisfaction reinforces that point. If you're the type who likes to have autonomy over your website's look, function, and operational specifics, you'll find that 4GoodHosting's c-panel control panel really adds to the appeal of our web hosting packages. You're able to manage and modify your website anytime from the comfort of your home or office workstation, create FTP accounts, set up email addresses, build custom websites and more, and anytime you'd like. Join the many who've used our online web builder to create an online web page in as little as 30 minutes! Many customers find these basic sites look great and serve their needs just fine. Try it for 7 days free at website-builder and you may well have your website ready for deployment in no time! Want a quick site loading time for your website? Ask and ye shall receive! Advanced server architecture puts 4GoodHosting ahead of the pack for delivering quick site loading times, even for sites with expansive content or complex configurations. Count on it! We make it a priority to answer every single customer service inquiry we receive, and to answer them thoroughly and with a prompt reply. No surprise that our friendly and knowledgeable agents also play a big part in making us the #1 choice for service-plus web hosting in Ottawa. Online chat support is often the best way to contact us, and it couldn't be any more convenient for you! It's touches like this, along with reliable hosting and available Internet marketing tools, which have contributed to us earning an “A+” standing with the Ottawa Better Business Bureau. Clearly, customers like the fact we are available and accommodating with whatever it is they need. This is the level of service and accountability you should expect from your web hosting provider in Ottawa. VPS stands for virtual private server, and it's the way to go for websites that have outgrown shared hosting, and / or require root access or complete configuration control of their standalone web server. VPS should be considered if your website has grown to experience over 1 million views per month, and with 4GoodHosting you've got your choice of platforms - Drupal, OpenCart,, WordPress, Wiki, Joomla, and PrestShop and SMF among others. Maximum data security and privacy are of great importance to most of you who have an online presence via your website. At 4GoodHosting, we understand that in full, and we are very much aware of the increased risks of privacy breaches through the Internet these days. It's critical that a web hosting provider has protective measures in place, and we certainly do. They're always being re-evaluated, and we work hard to give our customers a safekeeping assurance. It's all part of service-plus web hosting!